Council meetings are typically held on the first and third Tuesday of each month. All members of the public are welcome to attend. Meetings commence at 7:00pm in the Village Hall Council Chambers – 2697 Sunnyside Road, Anmore, BC V3H 5G9. Click HERE to access Council meeting agendas and minutes. 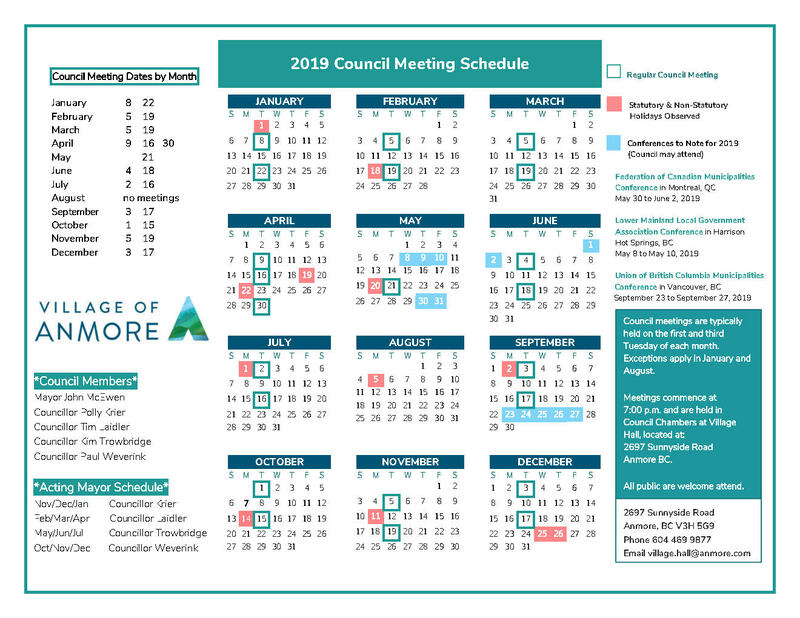 Click HERE to view the 2019 Council Meeting schedule. If you wish to make a presentation at an upcoming Council meeting, click HERE to access our Delegation to Council Request Form.